This highly regarded upgrade kit has been selected aftermany hours (years in fact!) of critically evaluating parts and is guaranteed to bring out the best possible sound quality from your X-Can V3. 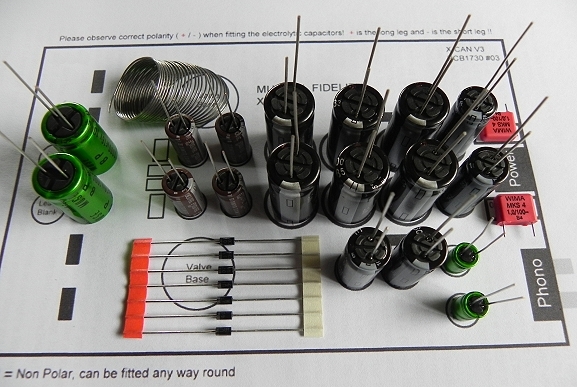 The capacitor upgrade kit comes complete with a comprehensive 4 page manual and is very easy to perform if you know one end of a soldering iron from the other! 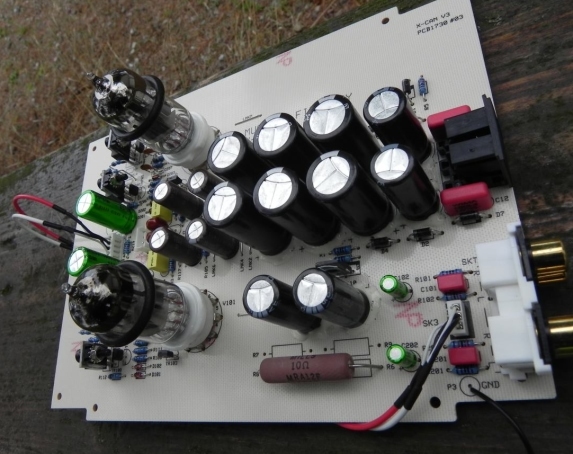 Latest update: (January 2019) The kit now comes with increased capacitance in the power section which takes the level of performance to even greater heights, it also comes with an Ohmite Audio Gold power resistor. This is the ultimate upgrade for your V3 and hearing is believing. The parts in the upgrade kit have been chosen specifically for their sonic attributes and are not just a handful of "boutique" parts that look good. The Panasonic caps have been selected for their liquid, smooth flowing sound, their low ESR and long life 105C rating. The Nichicon MUSE non polar input & output caps have been selected because they sound a lot better than directional electrolytics. There is also a fine sprinkling of ELNA Silmic ll silk fiber capacitors that have been employed in a key area of the circuit to bring out the very best sound quality. Film capacitors are by WIMA. An exceptional upgrade for your V3! UF4007 ultrafast diodes are included in the kit as well as high quality silver loaded solder. I accept Paypal or cheque. Please e-mail me to order your upgrade kit.